This is the second blog post in a series of three blog posts discussing how the Chemical Weapons Convention prevents the use of chemical weapons through proactive measures by prohibiting both the use of and the preparation to use chemical weapons. The first blog post described key features of the Chemical Weapons Convention. This second blog post compares the Chemical Weapons Convention to other sources of international law that address chemical weapons. The third and final blog post examines recent events in Syrian Arab Republic, as a case study, to illustrate the concepts discussed in the first and second blog posts. This post analyzes the sources of international law—other than the Chemical Weapons Convention (“CWC”)—that address chemical weapons, and then explains how the CWC provides the strongest protections against chemical weapons. Both customary international law and international treaty law provide clear prohibitions on using chemical weapons in international war, and under some interpretations, customary international law prohibits the use of chemical weapons in non-international war. However, in contrast to the CWC, neither customary international law, nor international treaty law, address the production, stockpiling, or possession of chemical weapons. First, this post examines the multilateral treaties addressing chemical weapons that predate the CWC. Next, this post discusses customary international law about chemical weapons. Finally, this post compares the CWC to the other sources of international law addressing chemical weapons. 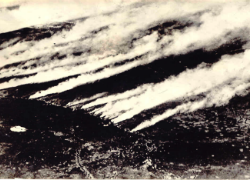 The 1925 Geneva Protocol for the Prohibition of the Use of Asphyxiating, Poisonous or Other Gases, and of Bacteriological Methods of Warfare (the “Geneva Protocol”) prohibited “the use in war of asphyxiating, poisonous or other gases, and of all analogous liquids, materials or devices.” The Geneva Protocol developed during a conference, overseen by the League of Nations, in Geneva from 4 May to 17 June 1925. 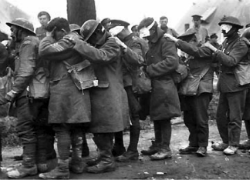 The use of chemical weapons during World War I motivated the Geneva Protocol. The Geneva Protocol restated the prohibitions in the Hague agreements and expanded the prohibition to all use of chemical weapons in international war. The Geneva Protocol only applies to international war because the parties only “agree to be bound as between themselves”; thus, the prohibition only applies to war between two or more signatory states. Over the years, General Assembly of the United Nations (“U.N.”) adopted resolutions to show the continued legitimacy of the Geneva Convention, and the Geneva Protocol continues to be a binding source of international law. The early treaties used broad language that covered both chemical and biological weapons, but later treaties distinguished between the two. The Geneva Protocol was the strongest multilateral-international-treaty protection against chemical weapons until the adoption of the CWC in the 1990s. While treaties are generally only binding on the parties to the treaty, treaty rules can become binding on non-parties “as a customary rule of international law.” Analysts disagree about when a widely adopted treaty becomes binding on third parties, but any U.N. resolution recognizing a treaty as binding on third parties is influential. For example, in 1969, the U.N. adopted a resolution asserting that the widespread accession to the Geneva Protocol made the use of chemical weapons in international warfare contrary to customary international law. Specifically, the U.N. resolution “Declares as contrary to the generally recognized rules of international law, as embodied in the [Geneva Protocol], the use in international armed conflicts” of chemical weapons. The ICRC cited to this U.N. resolution to support Rule 74 as a statement of existing customary international law. Despite the general consensus that customary international law prohibits using chemical weapons in international wars, scholars disagree about whether Rule 74 accurately represents customary international law regarding the claimed prohibition on the use of chemical weapons in domestic armed conflict. Essential international organizations, such as the U.N., consider all use of chemical weapons a violation of international law. The U.N. relies on both the Geneva Protocol and “other relevant rules of customary international law” to enable investigations of both domestic and international use of chemical weapons because the Geneva Protocol only applies to international war. The U.N. is empowered to investigate allegations of the use chemical weapons by any U.N. member under the Secretary-General’s Mechanism for Investigation of Alleged Use of Chemical and Biological Weapons. The enabling General Assembly Resolution refers to both the Geneva Protocol and “other relevant rules of customary international law,” which enables investigations into alleged use of chemical weapons by any U.N. member-state in international war or domestic war. This framework provides an enforcement regime for the customary international law identified by the ICRC in Rule 74. As described in the first post and illustrated in the third post of this series, the OPCW also lends its expertise to the U.N. if such an investigation occurs in a country that is not a CWC State Party. Past treaties, including the Geneva Protocol, provide fewer protections than the CWC. None of the early treaties addressed the production, stockpiling, and possession of chemical weapons, which are essential for preventing chemical weapons use. Unlike the CWC, the “Geneva Protocol does not… prohibit the development, production or possession of chemical weapons”; instead, the Geneva Protocol only prohibits the use of chemical weapons in international war. Similarly, the Geneva Protocol provides insufficient protection because compliance is voluntary, there is no mechanism to verify compliance, and it, “implicitly, does not cover internal or civil conflicts.” This is not to disparage the protections of the Geneva Protocol; rather, this is to emphasize the innovations of the CWC relative to earlier protections. The differences between the two treaties are understandable: Geneva Protocol takes up no more than two typed pages, while the official copy of the CWC is one-hundred eighty-one pages and took more than a decade to negotiate. Without the earlier treaties—and their shortcomings—negotiators would have been less likely to develop the complex structure of the CWC. Overall, the more detailed and comprehensive structure of the CWC provides better protections than previous chemical weapons treaties. Similarly, existing customary international law does not provide the same protections as the CWC. Irrespective of whether the prohibition on using chemical weapons applies in both international and non-international war, no one claims that customary international law prevents countries from stockpiling, producing, or transferring chemical weapons. In sum, using chemical weapons in international war violates international law, and under some interpretations, using chemical weapons in non-international war violates international law. Thus, both international treaty law and customary international law authorize the investigation and prosecution of actual use of chemical weapons. However, these international investigations and prosecutions occur only after the damage is done and the victims are hurt. And sometimes they do not happen at all. By not addressing more than the use of chemical weapons, most sources of international law provide no preventative protections against the horrors of chemical weapons. While no legal structure can be perfect, the CWC definitely provides better protections than any existing alternative. The main advancement of the CWC is the ability to ensure that countries do not reach the point of use, by enabling intervention upon mere possession, development, or production of chemical weapons or their precursors. The proactive CWC requires the destruction of existing chemical weapons stockpiles and prevents the transfer of those chemical weapons to others. The CWC prevents the use of chemical weapons by eliminating access to chemical weapons. Events in the Syrian Arab Republic illustrate the difference between the protections of the CWC and other sources of international law. There, despite knowledge of Syria’s chemical weapons stockpile, the U.N. only stepped in to investigate after reports of actual chemical weapons use surfaced because Syria had not adopted the CWC. The third and final blog post in this series analyzes those events in detail. For a detailed explanation of the CWC, see the first blog post in this three part series. Megan Eshbaugh, Note, The Chemical Weapons Convention: With Every Step Forward, We Take Two Steps Back, 18 Ariz. J. Int’l & Comp. L. 209, 216 (2001). James D. Fry, Gas Smells Awful: U.N. Forces, Riot-Control Agents, and the Chemical Weapons Convention, 31 Mich. J. Int’l L. 475, 481-82 (2010). Protocol for the Prohibition of the Use of Asphyxiating, Poisonous or Other Gases, and Bacteriological Methods of Warfare, June 17, 1925, 26 U.S.T. 571, 94 L.N.T.S. 65. See, e.g., Measures to Uphold the Authority of the 1925 Geneva Protocol, G.A. Res. 65/51, U.N. Doc. A/RES/65/51 (Dec. 8, 2010). Early treaties addressed chemical and biological weapons together, but international law has treated them separately, at least since the adoption of the 1972 Biological Weapons Convention. Biological weapons are weaponized bacteria or viruses. Chemical weapons are weaponized synthetic substances. The first post of this series explains the difference between chemical weapons and biological weapons in more detail. Statute of the International Court of Justice, art. 38(1)(b), June 26, 1945, 59 Stat. 1055, 1060, 33 U.N.T.S. 993. Buell v. Mitchell, 274 F.3d 337, 372 (6th Cir. 2001) (quoting Restatement (Third) of Foreign Relations Law, § 102, cmt. b (1987)). Flomo v. Firestone Nat. Rubber Co., LLC, 643 F.3d 1013, 1015 (7th Cir. 2011). See generally Noura Erakat, The U.S. v. the Red Cross: Customary International Humanitarian Law and Universal Jurisdiction, 41 Denv. J. Int’l L. & Pol’y 225, 227-29 (2013) (describing criticisms from the U.S. government about the methodological approach used by the ICRC during the study). Vienna Convention on the Law of Treaties, May 23, 1969, art. 38, 1155 U.N.T.S. 331, 8 I.L.M. 679. U.N. G.A. Res. 2603-A (16 December 1969) U.N. Doc A/RES/2603 (XXIV) A. Compare Carsten Stahn, Syria and the Semantics of Intervention, Aggression and Punishment: On ‘Red Lines’ and ‘Blurred Lines’, 11 J. Int’l Crim. Just. 955, 958 (2013) (relying on Rule 74 as accurate customary international law), with Jillian Blake & Aqsa Mahmud, A Legal ‘Red Line’? : Syria and the Use of Chemical Weapons in Civil Conflict, 61 UCLA L. Rev. Disc. 244, 255-56 (2013) (treating Rule 74 as inaccurate and arguing that customary international law only prohibits using chemical weapons in international conflicts). G.A. Res. 42/37, C, U.N. Doc. A/RES/42/37 C (Nov. 30, 1987). See Stutts v. De Dietrich Group, 2006 U.S. Dist. LEXIS 47638, at *39 (E.D.N.Y. June 30, 2006) (noting absence of “prohibition on the development, manufacture and stockpiling of chemical weapons” from customary international law).